Those cards can be used to introduce the future tense. 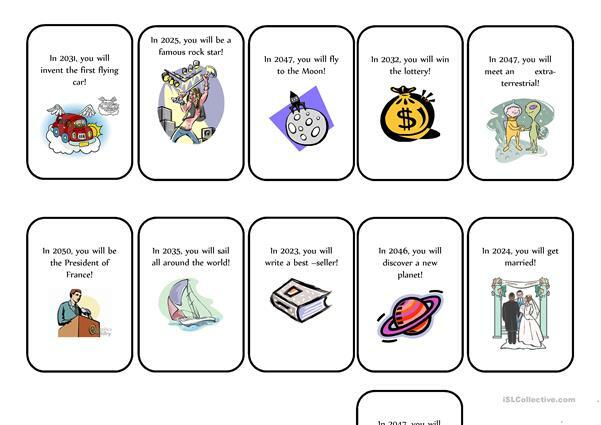 The teacher can play the role of a fortune teller; the pupils pick a card and read the predictions about their future. This downloadable teaching material is a great resource for high school students at Pre-intermediate (A2) level. 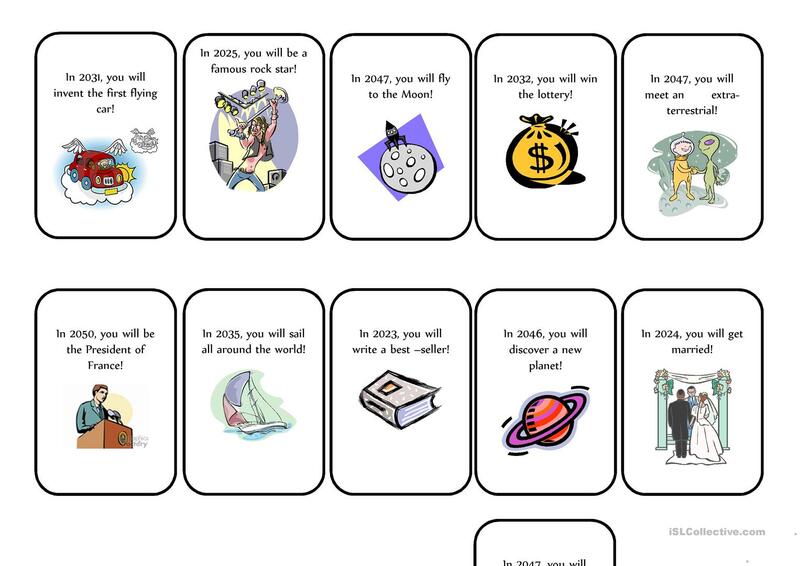 It is a useful material for practising Future tenses in English, and is a valuable material for enhancing your students' Speaking and Reading skills. 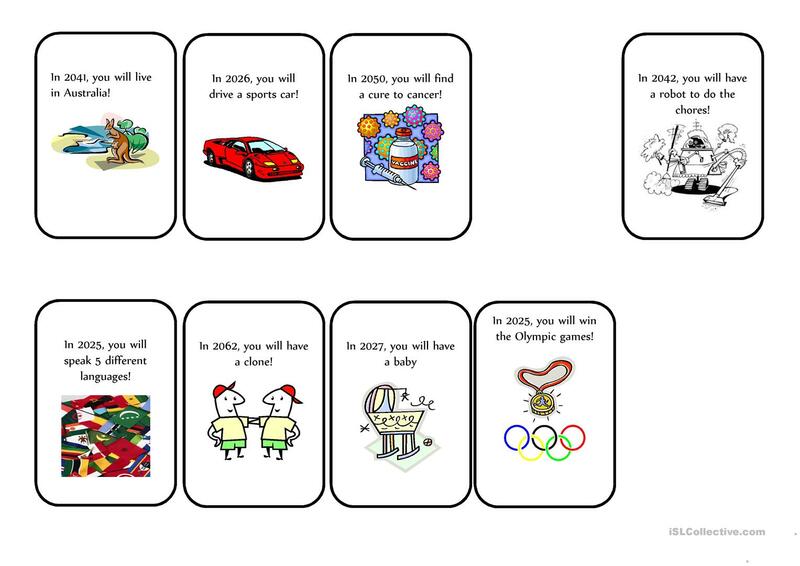 It focuses on the vocabulary topic of Future. neomeris is from/lives in France and has been a member of iSLCollective since 2010-09-23 10:23:02. neomeris last logged in on 2013-09-29 20:36:07, and has shared 2 resources on iSLCollective so far.